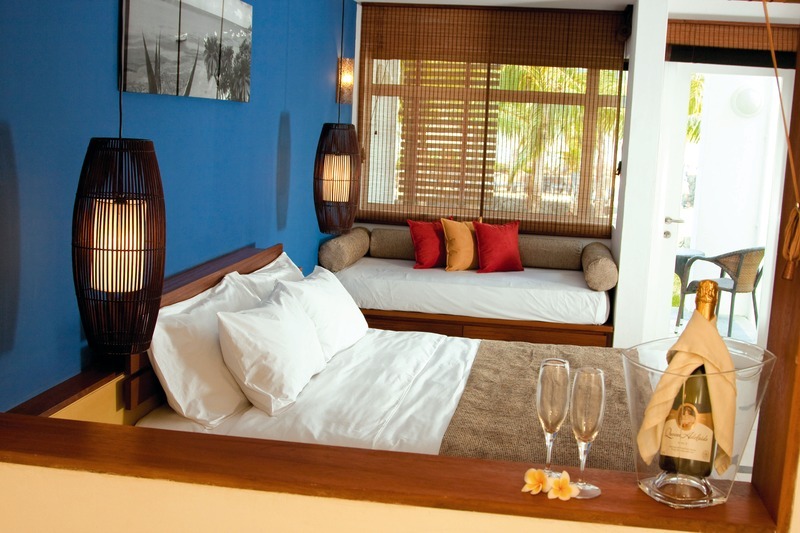 ﻿ Laguna Beach Hotel & Spa Pulau Mauritius. JIMAT di Agoda.com! Ada soalan mengenai Laguna Beach Hotel & Spa? Direka untuk kedua-dua tujuan perniagaan dan percutian, Laguna Beach Hotel & Spa terletak di lokasi strategik di Ile aux Cerfs Lagoon; salah satu kawasan yang paling popular di bandar tersebut. Terletak 35.0 Km dari keseronokan bandar, hotel 4-bintang ini terletak di lokasi yang sangat baik dan menyediakan akses kepada tarikan terbesar di bandar. Bagi anda yang ingin pergi agak jauh, Padang Golf Anahita, Pulau Cerf, Kelab Golf Le Touessrok merupakan beberapa daya tarikan untuk pelawat. Laguna Beach Hotel & Spa menawarkan perkhidmatan yang sempurna dan semua kemudahan penting untuk menceriakan pelancong. Hotel ini menawarkan Wi-Fi percuma semua bilik, pengawal keselamatan 24 jam, pengemasan harian, kedai cenderahati, khidmat teksi untuk memastikan tetamu menikmati keselesaan yang terbaik. Alami bilik dengan kemudahan berkualiti tinggi sepanjang anda menginap di sini. Sebahagian bilik menyediakan almari, teh percuma, tuala, rak baju, kopi segera percuma untuk memudahkan tetamu berehat dan kembali bertenaga. Di samping itu, pihak hotel menawarkan aktiviti rekreasi untuk memastikan anda mempunyai perkara untuk dilakukan sepanjang penginapan anda. Apabila anda mencari penginapan yang selesa dan mudah di Pulau Mauritius, ijadikan Laguna Beach Hotel & Spa sebagai rumah anda seperti berada di rumah sebenar. Tawaran bulan madu hanya ditawarkan untuk pasangan dengan sijil perkahwinan rasmi tidak lebih daripada 12 bulan. Penginapan ini menawarkan pelbagai hadiah yang datang dengan terma dan syarat berbeza apabila tempahan dibuat untuk tawaran bulan madu. Sila hubungi pihak penginapan untuk maklumat lanjut. Infinity pool w small bar and VERY small beach is nice if you want to relax. The rest of the property is not a “resort” although they are trying to be one. They didn’t have my sea facing room that I booked and paid for. They tried to put my in a room overlooking the parking lot and a tool shed. I ended up with “the last available room” which was on the side of the hotel overlooking a brown backwater lagoon that smelled like fish. I feel that the room issue was b/c I went through a third party the day before to book and the hotel just didn’t want to give me the nice room at the deep discount. Otherwise, the staff was friendly. If you want to stay a day or two and move on, this is a good place. I wouldn’t center my vacation around this hotel though. Lovely hotel - The staff were outstanding and couldn’t do enough to make our stay more comfortable. The food was delicious and the location beautiful. Being on the south east of the island and this time of year, it got a bit windy in the late afternoon. Not much to do around this area, but did take a boat trip to the waterfall and Ile Aux Cerf which was breathtakingly beautiful. The hotel organised evening entertainment which we enjoyed from our balcony. All in all a wonderful experience and would highly recommend it to those who want to relax and get away from it all for a few days. Really love the view of the Grand-Port mountain range as a backdrop, Hotel Laguna Beach is located along the South East coast of the island in Grand River South East. Had good times with the pool, spa and a gym. 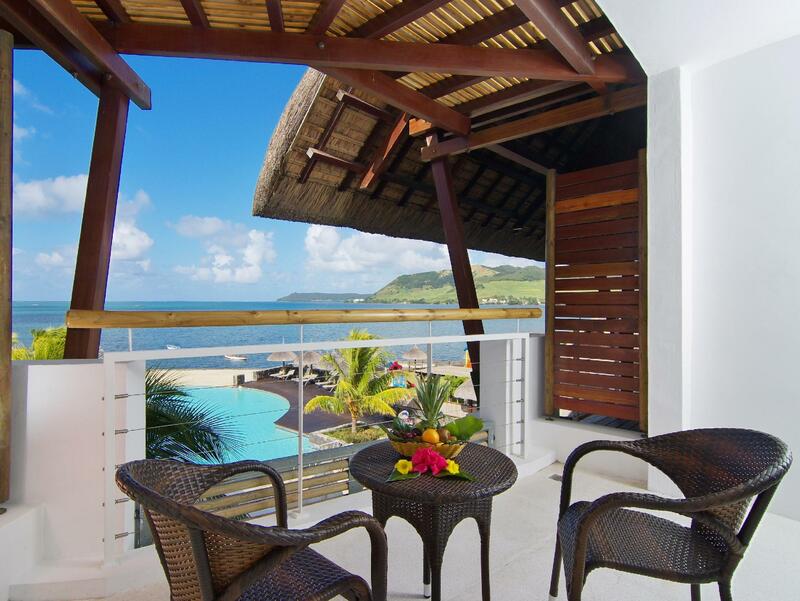 Each room is sea facing and features a balcony or terrace which making my stay memorable. Nice rooms, most of them with ocean views. Good facilities available. Big swimming pool. Good variety of food. Staff friendly. Beach in the hotel is quite small and not the most appealing. Possibility to go to Ile aux Cerfs from the hotel for a good price, to spend 2 hours on the island: it’s worth going as no attraction around the hotel. Hotel is nice and you can enjoy delicious dishes, but we had to wait every single day more than 20 minutes to get drinks, despite we were among few who ordered first. Sometimes had to push the staff who seemed very disengaged to deliver a water of beer. I complained several times. Worst experience was approach of management to thievery in the room. We rushed for a short trip and once left one of our wallets on the bottom of closed suitcase, during cleaning and filling minibar 5 of 11 banknotes of 50€ value disappeared - were stolen. We knew the time and hotel knew that 2 members of staff entered room and did nothing based on RFID card readings. We did not want to spoil precious time at police station, but that lack of action or compensation in whatever way was so sad and disappointing. You’re supposed to checkout at 11:00am but you cannot check in before 3:00pm !! 4 hrs to clean ! The wifi signal in very weak in the rooms so don’t expect to do anything on the net It will not be a relaxing stay as the music is very loud with poor sound isolation. During my stay the beach was not maintained and full of tree debris. Nice pool area, very nice rooms and lovely interior. Friendly staff. Quite area which fits good in the surrounding. Good breakfast, dinner could be more local instead of copying German and French food. Please play no pipe or piano covers of European songs... That's not relaxing. Get your sunbeds fixed. 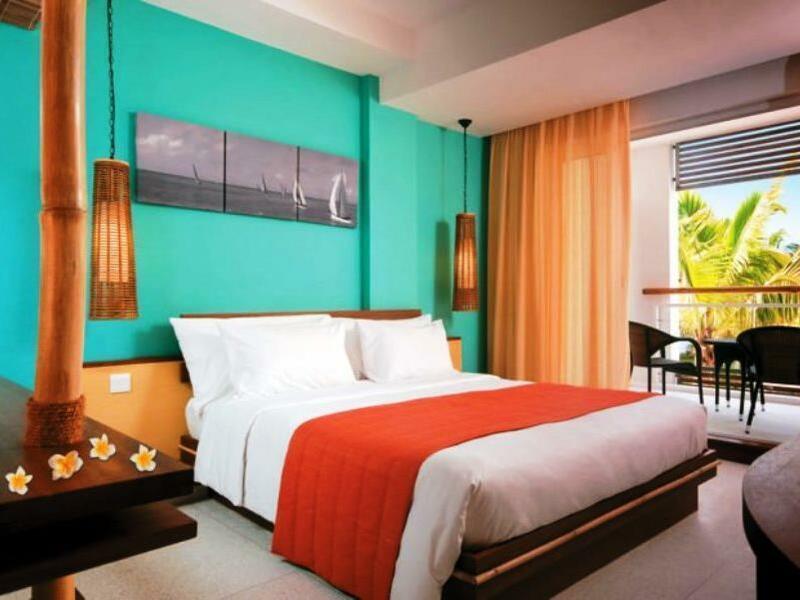 Place is located on the east coast of the island in a relaxed area, if you come for party/lots of people then you should not go here, go instead to the other hotel on the west cost named: Anelia. But if you need a place to relax with beautiful area and people then this is the place to do so. Food is plentiful and good, staff is friendly and kind. We recommend to rent a speedboat and a car to go around and see the island. this is a small hotel with a very nice view to the sea and mountain. 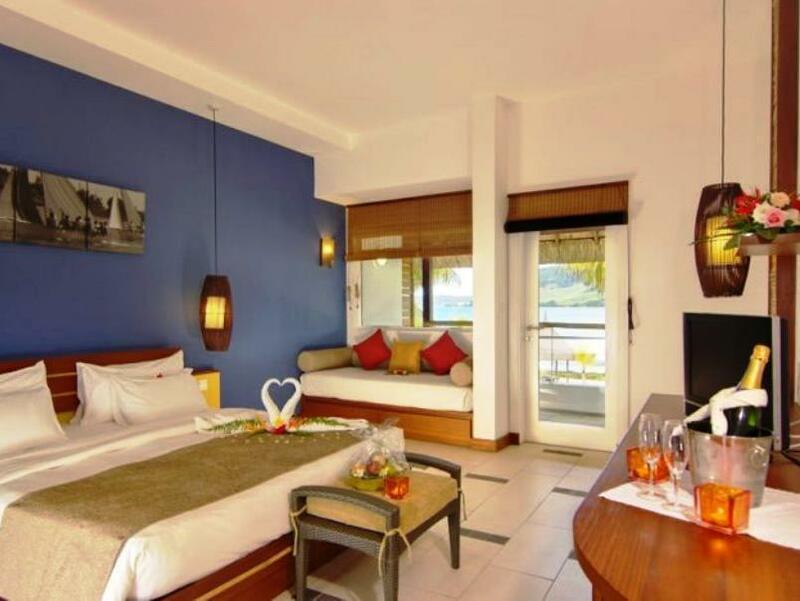 95 % of the rooms are sea view. There is no drinking water nor amenity offer in the room except soap. How ever, it does not matter comparative to what you pay for the room. Special arrangement for Agoda booking is all buffet are 50%. This make us eat all the time in the hotel because food is good with more indian style. It is better to have a car with you because you cannot find anything in awalking distant around the hotel. Activites offered by the hotel will make you very busy the entier day. 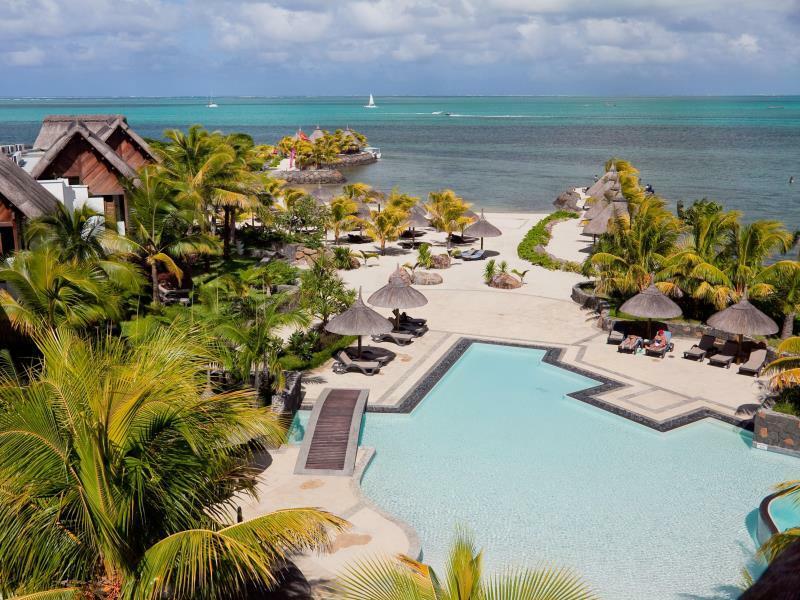 The hotel provide free boat trip to Ell aux cerfs. Staff are very next ce and helpful. They shows very mcuh appreciation when ever we gave a small tip. The hotel offer live dancing on Saturday night dinner. Very nice. Every nights somethinng is going on. So, we do not feel lonly at all even though the hotel is in a remoted location. Spa in the hotel is not that expensive. Therefore, one cannot complain if the massage bed is a bit old and should be replace. In summary, we love the place and no one want to leave the hotel when we need to check out. First room we were given looked out over a swamp of rubish and debris , after complaining we were moved but although the room had a nice view it was noisey ay night . Hotel was remote with little near by . I had booked a sea view room. One of the staff members emailed me that if I did not arrive at check-in time I will not get the room. I replied that I do not control airlines arrival time into Mauritius and I should not be penalized for airlines arrival times beyond my control for a room that I had already paid for. I did get the room but that was a strange way to treat a guest. One of the Indian origin cooks asked me if I was Indian or Mauritian because of my skin color obviously and I replied I am Canadian and I sensed a bit of lack of interest towards guests from South Asian origin (had to remind people of order I placed at restaurant because they were busy hovering around Europeans). A hint of racism? My booking had only breakfast included. Since the resort does not have any other restaurants nearby (fishing village) my family decided to have dinner at the resort restaurant. When I told the staff before I started my dinner that I would be paying for it the response was a frown?!! I've been to Mauritius 3 times. This is NOT a 4* Hotel!!!! The all inclusive package is a rip off. The hotels activities as advertised are terrible. The boathouse only operates until 4pm. The glass bottom boat only goed out on Monday, Wednesday and Friday. On a Sunday the boathouse was closed. If you want to go snorkling you have to pay extra. If I wanted a milkshake I had to pay extra (not part of the all inclusive package). If we wanted ice to be brought up to the room we had to pay extra(not part of the all inclusive package). Rooms are good and clean but I won't recommend staying in this hotel or area unless you only want to lie on the beach the whole day. Special thanks for all staff for making our stay pleasant.